EveryMom Fitness is truly for every mom! Every new mom, every experienced mom. Every mom who wants to take care of herself, without worrying about childcare. 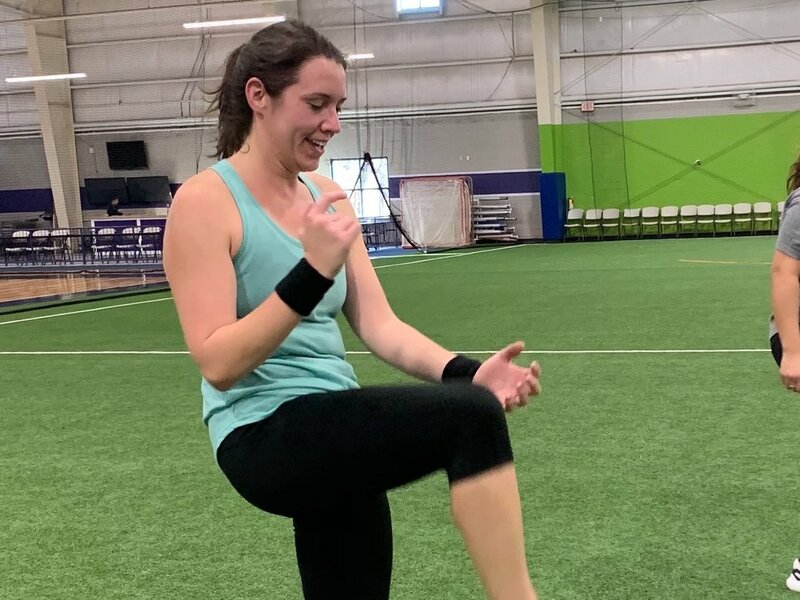 Whether you’re a marathon-running mom, or a haven’t-worked-out-in-years mom, EveryMom Fitness will adjust to your level to create the perfect workout for you! 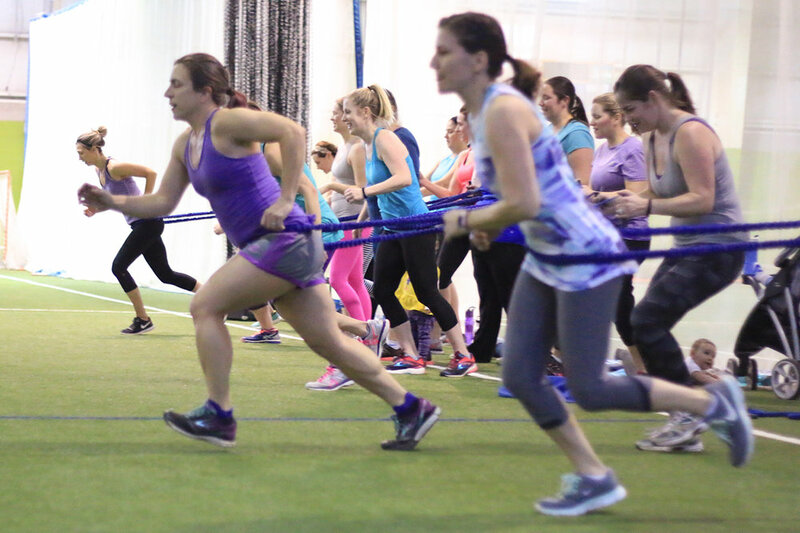 EveryMom Fitness is an hour-long bootcamp-style class held in a safe, indoor facility all year round. Your kids are welcome to be in a stroller, on a blanket nearby, or running down the field; always under your watchful eye. We understand mom-life, so there’s no judgment here for 2-year-old temper tantrums or breast-feeding breaks! Bring a tablet, toys or whatever will keep your child happy—you might even find they want to work out TOO! We meet Monday through Friday from 10-11am at The Fieldhouse, located at 14810 Murdock Street, Chantilly, VA 20151. The Fieldhouse also offers additional bootcamp classes, strength-training, and adult sports leagues. With a childcare room and café area where you and your kiddos can refuel after your workout, The Fieldhouse has something for the whole family! Take an inside look into our awesome community by peeking at our social networks! From class themes to Moms Night Outs, we keep our members and their kiddos coming back for more. Be sure to check out how we celebrate our hardest-working Moms of the Month! Come on in to The Fieldhouse for a FREE WEEK of classes or to purchase a membership! if you come with a member. $10 if not. Access to Erica's online workouts. I was just about 4 months postpartum, somewhere over 220lbs, and very out of shape. I knew it was time to start taking care of myself, but wasn’t quite sure how to make it work with an infant and a toddler. After attending the first class, both kids in tow, I realized that EveryMom Fitness was the perfect solution. All of the women were very welcoming and the instructor Erica made sure to show modifications for all fitness levels, making me feel at ease. My boys were able to stay with me while I worked out, which enabled them to play and socialize with other kids. EveryMom Fitness provided me the perfect outlet to get fit, both physically and mentally. Looking back at pictures of myself from this time last year has been eye opening to say the least. I am down at least 50lbs and feel like a new person. I am happier, healthier, and have the energy needed to keep up with my boys. I have EveryMom Fitness to thank for this version of myself. Having a supportive group holds me accountable. I try to attend class 4 to 5 times a week, which in turn helps me make healthier food choices. I still indulge in sweets and libations but make sure to moderate accordingly. It's also great that I get the opportunity to get together monthly with my fellow moms for a kids-free night out. I want to share my story in hopes that it will motivate other moms who think they can't achieve a healthier lifestyle. Everymom Fitness is not a magic pill or a fad diet, it is a fitness program backed with an amazing group of supportive women who will keep you motivated and mentally sane.